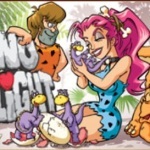 Cryptologic were the brainboxes behind the Dino Delight game, when it first released. 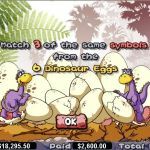 This rather dated slot machine game has not fared particularly well over the years, but it is still one of happier, chirpier dinosaur themed slots on the net. The game itself offers a very basic and predictable 5-reel, 25-line format, with players able to adjust their bets and paylines as they see fit. Expect to find minimum and maximum wagers which range from as little as 0.01 per line per spin, up to maximum stakes of 25.00 per spin on this non-progressive jackpot slot machine game. There are several special features for players to enjoy whilst spinning the reels of this slot. One can find a cave girl who acts as a wild symbol, and wilds can replace can all other symbols in the game with the exception of other special symbols. 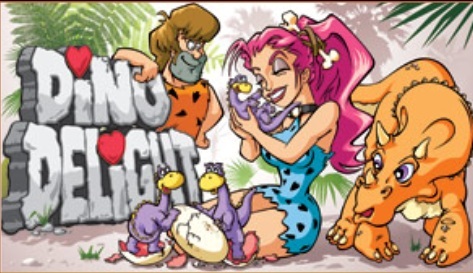 The dinosaur-come-Flintstones theme runs throughout this slot machine game. The theme may be popular, but some of the special features certainly aren’t. The main reason is because players must place a side-bet to have access to them. That is positively scandalous. 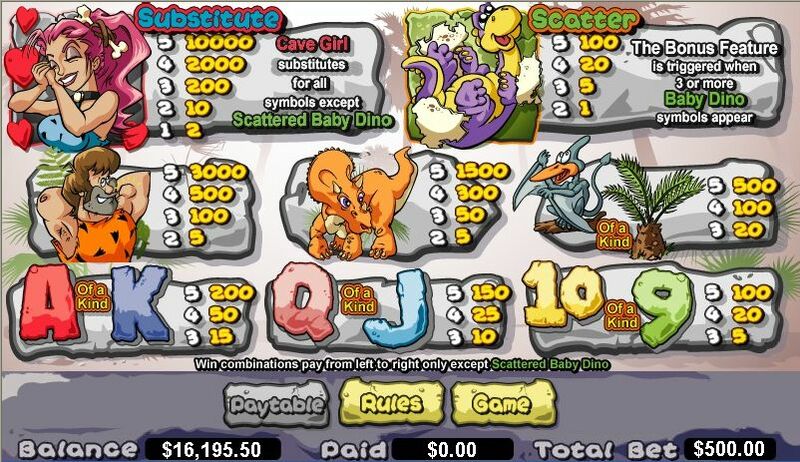 Land 3 or more of the baby dinosaur scatter icons on the reels to trigger the first of a two-pronged bonus round. 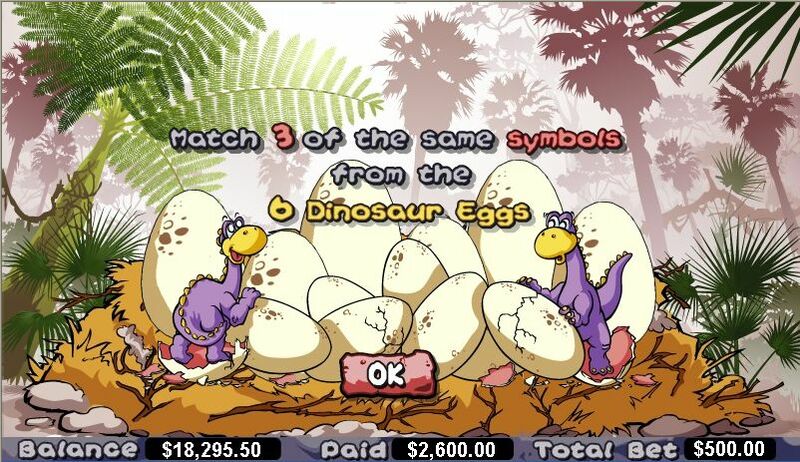 One the bonus feature begins, players must match 3 out of the 6 dinosaur eggs which appear on the screen. Players will get to pocket an instant cash prize based on their selections. Landing a golden dinosaur will see their winnings tripled. Players can also match 3 free spin dinosaurs to trigger a free spins bonus round. In this free spins, players are awarded with a total of 10 free games. During that bonus, any winnings you happen to pocket will be doubled. The feature cannot be retriggered. 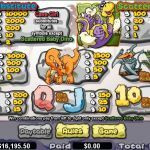 The simple fact that you are not guaranteed to end up with free spins even if you trigger the bonus round, and that you must pay extra to have access to the bonus features means that there isn’t going to be a terribly large crowd rolling up to play Dino Delight.